You know the deal with Setapp features: you ask for them and we make ‘em. As more and more Setappians kept getting surprised there’s a two-Mac limit on user account, we got to developing. 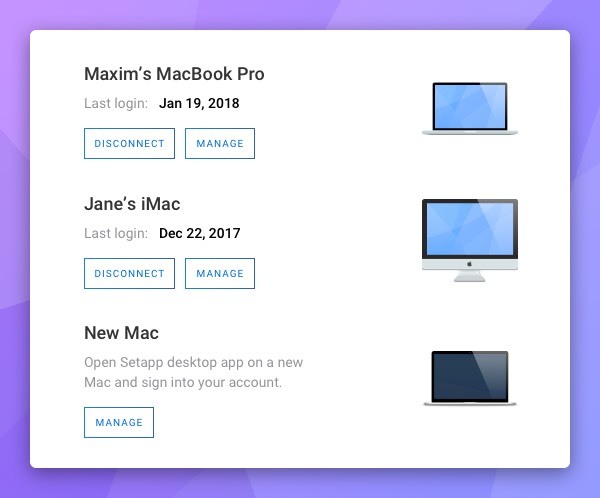 Now you can add a total of 5 Macs to Setapp: two for free* and three for $4.99/month each. Go to your account and choose the Devices tab. Next to the list of Macs you already use, there’s a button to add more. Click “Buy an extra seat” and follow the instructions. 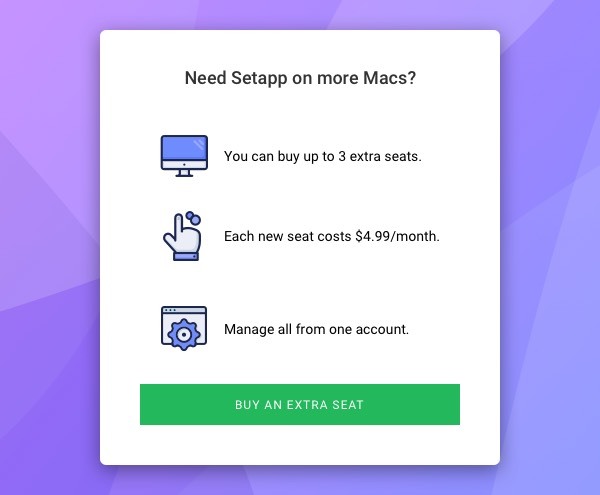 Once you’ve purchased an extra seat, simply log into Setapp on a new Mac and it will get automatically registered. You’ll see it on the list of your devices from then on. 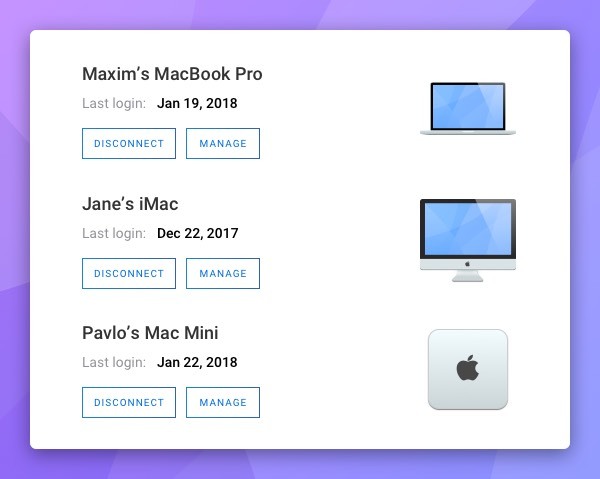 If you want to use another Mac in the place of the one you’ve connected, click Disconnect next to the Mac in your account. 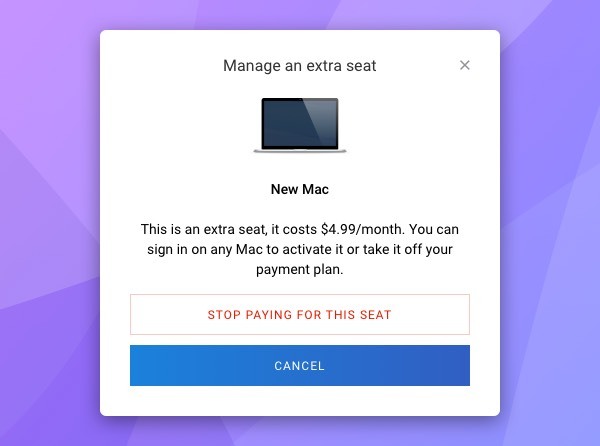 This will leave the seat vacant and you can log in on another Mac to activate it. You can also easily take the extra seat off your payment plan when you don’t need it anymore. Choose Manage next to the extra seat and click Stop paying for this seat. That’s about it with our additional seats and Macs. We’d love to hear your feedback and suggestions in our Facebook group. Have a great day!